Where can I purchase health insurance online? Home / FAQ / Where can I purchase health insurance online? Someone looking for health insurance can start the purchase process online at most health insurance company websites. On these websites the person wanting to buy health insurance can research the types of coverage offered, choose the type of plan they want, and submit their information for a more personalized quote. The free online tool on this page makes it easier than ever to compare health insurance quotes in your area. Type in your zip code to begin! After submitting their information, the person shopping for health insurance will be contacted by a health insurance agent. It is not recommended that someone purchase health insurance without speaking to an agent first, since health insurance is often a very complicated thing. What are the basic components that determine health insurance coverage? A woman will need different health insurance coverage options than a man, especially if she is planning to have children or is currently pregnant. Maternity coverage is often an option that can be removed from a health insurance plan or added as necessary and can make a big difference in how much the health insurance plan costs. 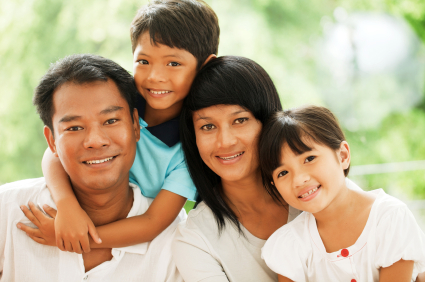 Whether someone is married or has children is important to know in case those family members will also need to be covered by the health insurance plan or might need to be in the future. Adding other people to a health insurance plan can greatly affect the cost of that plan. The second component, medical needs, take into account the policyholder’s current medical situation and any likely situations in the future. Someone who has preexisting conditions or who is already taking prescription drugs will have to pay more that someone who is currently in perfect health. Someone that is young and has no major medical conditions will most likely not need as much health insurance coverage for prescriptions and doctor visits. Another thing considered is if the new policyholder already has a primary care physician. If they do they will most likely want to choose a health insurance plan that allows them to keep that doctor in the case they are not already included in the health insurance provider’s network of doctors. Once a person finds a doctor they like it is often very hard for them to change to a new doctor especially if that doctor is a specialist. The last component to consider is budget. Most people have budget constraints and purchasing a health insurance plan on your own often costs a lot more than it does through an employer. It is very important not to focus solely on how much on the price of the health insurance plan. Often when people do this, they choose to purchase less coverage than they need. The amount of the policy versus the policy coverage should be weighed objectively and some balance should try to be found. What are the two factors that determine how much a health insurance policy will cost the policyholder? There are two important factors to consider when choosing how much to pay for health insurance. These two factors are the premium and the deductible of the health insurance policy. Many people get confused by these two words or often just do not fully understand how they work. The amount that most people focus their main attention on is the premium. This is how much the policyholder pays each month to have health insurance. Often this is the only thing people are concerned with and that is a big mistake. The deductible is the amount of money the policyholder will have to pay out of their own pocket for medical costs before the health insurance provider starts covering medical costs. The higher the deductible, the lower the monthly premium and the lower the deductible the higher the monthly premium. Many people choose a higher deductible so their monthly premium is lower, but unless that policyholder has the savings to pay a high deductible in the case of a medical emergency this can be a costly mistake. It is best to pay a little more each month and have a lower deductible. When it comes to the premium and deductible, it is important to find a workable balance between the two. So should I buy health insurance online? You should definitely research health insurance coverage online since there is so much information available. Once you choose the provider you want to go with and have a basic idea of the coverage you will need you should then contact an agent with that provider. An agent will be able to answer a questions or concerns you have much quicker and more easily than a website. Sites like AHRQ are a great place to start your research. Compare health insurance quotes now with our free online tool by entering your zip code!